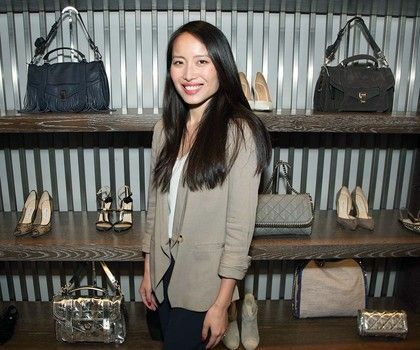 Jie Zheng Charles ‘05 is the founder of Material World, a privately-owned start-up in the fashion industry that expands the life-cycle of used designer clothing items by finding them new homes in someone else's closet. Her mission? To reduce the environmental impact of the second most polluting industry and celebrate self-expression. Through an online marketplace and subscriptions service, Material World helps shoppers trade in their designer clothes and discover new (but used!) styles at a fraction of the original cost. Jie started Material World six and a half years ago to solve a personal paint point: selling the fashion items she once loved but no longer wore. Jie found the current options to resell clothing limiting, extremely inconvenient, and all around unsatisfying. 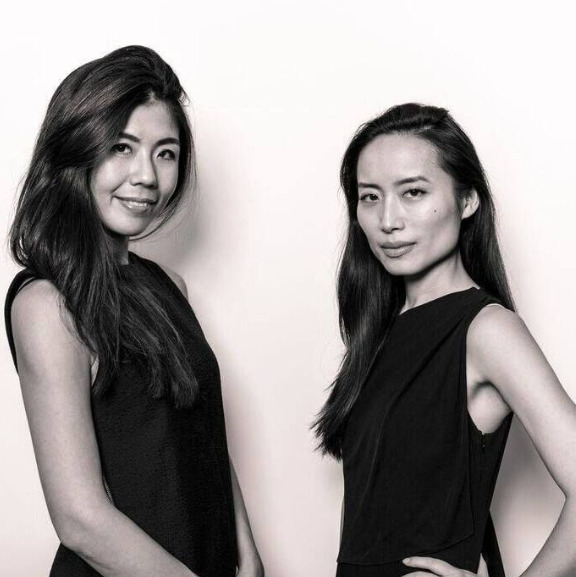 After graduating from Harvard Business School and spending several years designing the digital shopping and e-commerce experience at fashion giants like Ralph Lauren and J.Crew, Jie decided to take the plunge and come up with a better solution for second-hand fashion. “I really set out to reinvent that experience to make it not only seamless, but very empowering so that women can easily refresh and self-express”, Jie says. Jie Zheng Charles ‘05 (right) and her co-founder and close friend, Rie (left). Initially, Jie and her co-founder who is also a close friend from business school started with a comprehensive market analysis to understand the competitive landscape. “We looked at the pros and cons of existing solutions and we saw a lot of opportunities around convenience as well as transparency,” Jie explains. To test their hypotheses, they went to the peer-to-peer marketplace with a minimum viable product - pop-up shops where influencers like bloggers and fashion designers could create their own virtual closets to connect with anyone interested in purchasing their used fashion items. Interest and demand for a better solution to sell and buy used clothing quickly picked and Jie saw an opportunity to have an impact. After months of pivoting and process iteration, Material World grew into a subscription box service where users can receive monthly “Material Boxes” with five used clothing items curated to your taste by professional stylists or get free “trade-in boxes” to clean out their closets for cash - seamless, hassle-free and shipped right to the doorstep! Inventory of used designer clothing at Material World. Jie in front of showcased inventory at Material World. Starting her own company was a long and exciting journey for Jie, one that started at Smith College before she ever thought of herself as an entrepreneur. As a member of the second class of engineers at Smith, Jie learned how to identify problems, test hypotheses, and develop viable solutions. “Having that engineering education in the liberal arts environment helped me connect the dots. I loved the diversity of my curriculum, took courses in arts and philosophy, and the well-rounded approach has served me well,” she reflects. Post Smith, Jie worked in operations management for three years, where she learned the ins and outs business operations, giving her the tools she needed to leave the stability of a corporate job and start her entrepreneurial journey. “Taking the plunge is the big step. You no longer have the salary or the health benefits, and you just have to figure out how to take this concept and make it into a minimal viable product,” Jie explains. Jie graduated from Smith in 2005 as an engineering major and has since received her MBA from Harvard Business School. She has passed on her knowledge and insight as a student mentor for the Draper Competition and has been a great resource to the Conway Center. After 6 years of founding and leading Material World, Jie is ready for her next adventure and has recently transitioned out of her day-to-day role while remaining on as a Board Member to explore new entrepreneurial opportunities.